Q: What are the courses offered? A: The Sankara Nethralaya Academy (TSNA) offers various certificate, diploma, undergraduate, postgraduate programs in health care. For more details, see Programs. Q: How can I enroll for a course? Q: When does the admission procedure start for the academy? A: The admission for the graduate and postgraduate programs starts in the month of June/July. For the other certificate and fellowship programs admissions, kindly contact our office. Q: Why should I choose TSNA? 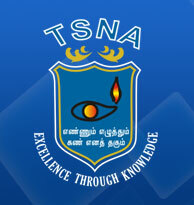 Q: What are the eligibility criteria to join the courses offered in TSNA? A: For the various diploma programs (Operation Theatre & Anesthesia Technology, Medical Record Science, Nursing Aide, Ophthalmic Nursing Assistant, etc,) the minimum qualification is 60% aggregate in 12th with physics, chemistry, biology or botany and zoology and age limit of 19 – 20 years. The eligibility criteria for the B.Sc Medical Laboratory Technology is a pass in 12th from central/state board or its equivalent with good credits in physics, chemistry and mathematics/biology and age limit of 17 – 20 years. The minimum qualification for MBA in Hospital & Healthsystem Management is MBBS/BDS/BAMS/BHMS/BNYS/BUMS/B.Sc(N/MLT)/B.Pharm/BPT& BOT/B.Sc Optometry or any science background. Q: Do I have job opportunities after completing my course in the academy? A: Yes. Candidates completing the B.Sc Medical Laboratory Technology course have job opportunities in various hospital / reference / industrial medical laboratories, Research institutions, Biomedical companies, Blood banks, etc. After completing the MBA in Hospital & Healthsystem Management course the candidate has opportunities for executive level management positions in hospitals and health care institutions. Medical graduates can run their clinical practice with success. The various other programs have job opportunities in the respective healthcare sectors. Q: Can I opt for higher studies? A: Sankara Nethralaya offers post graduate programs and Ph.D to help students to pursue higher education. The institution also conducts Ph.D programs in biochemistry, Microbiology, Molecular biology, Cell biology, Stem cell biology and Nanotechnology. The students can also continue their higher education in MHA & M.Phil. Q: What arrangements will be made for accommodation and food? A: Accommodation will be arranged in the Sankara Nethralaya Hostel on request / availability. Healthy and delicious food is available in our campus at affordable cost. Q: What is the mode of payment for accommodation? A: Accommodation fee can be paid by cash or demand draft drawn in the favor of “Medical Research Foundation” on the 1st of each month. Q: How do I reach from the airport/railway station? A: You can hire a taxi from the airport to the Sankara Nethralaya. The taxi charge will be around Rs.450. A taxi from the railway station to the Sankara Nethralaya will cost around Rs.500. Q: What kind of clothes should I pack for the training? A: Since Chennai is warm even in December and January, you really do not require any woolen clothes. Cotton clothes are most suitable. Women: Salwar suits (not sleeveless) and saree. Men: Formal shirts and pants with formal shoes. Q: Will I need a visa to come to India? On confirmation to the course; you will receive a formal visa invitation letter with a copy marked to the Indian Embassy in your country. The confirmation letter & visa invitation letter is sufficient for you to apply for your visa for the specific period. If you encounter any difficulty in the visa application process, please contact the course coordinator for further assistance. It is advisable for any assignee to carry additional copies of visa/ passport/ residential permit. Having spare passport sized photographs with you will also be useful. Q: Where is the nearest international airport? A: The nearest international airport is the Chennai International Airport (MAA) situated in Meenambakkam, about 15 Kms form The Sankara Nethralaya Academy.